Austrian rabbi; born Feb. 28, 1825, at Lemberg, where his father was a second-hand bookseller; died at Czernowitz March 26, 1892. After studying in the gymnasium of Lemberg, he went, at the age of fifteen, to Padua, where he continued his studies in the rabbinical seminary, under S. D. Luzzatto and Della Torre, graduating (D.D.) in 1849. On his return to Lemberg he was appointed religious teacher at the gymnasium and "Realschule," becoming at the same time privat-docent of Semitic languages at Lemberg University. 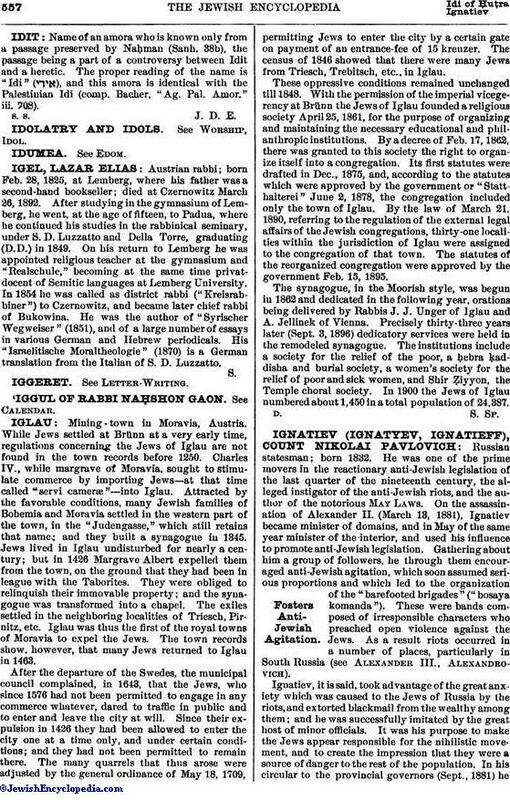 In 1854 he was called as district rabbi ("Kreisrabbiner") to Czernowitz, and became later chief rabbi of Bukowina. He was the author of "Syrischer Wegweiser" (1851), and of a large number of essays in various German and Hebrew periodicals. His "Israelitische Moraltheologie" (1870) is a German translation from the Italian of S. D. Luzzatto.